How to Retire Happy, Wild, and Free offers inspirational advice on how to enjoy life to its fullest. The key to achieving an active and satisfying retirement involves a great deal more than having adequate financial resources; it also encompasses all other aspects of life - interesting leisure activities, creative pursuits, physical well-being, mental well-being, and solid social support. 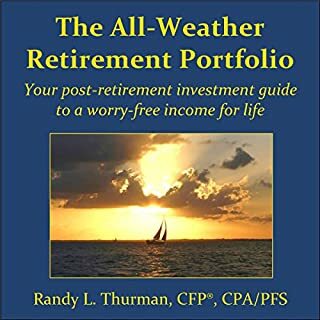 With its friendly format and positive tone, How to Retire Happy, Wild, and Free offers retirement wisdom that you won’t get from your financial advisor. You can have it all - not just more income to spend in your retirement years, but also the peace of mind that comes from knowing that, no matter what happens in the outside world, you've done all you can do to have a worry-free income for life. Hyrum W. Smith is one of the original creators of the popular Franklin Day Planner, the former chairman and CEO of Franklin Covey Co., and the recognized "Father of Time Management". 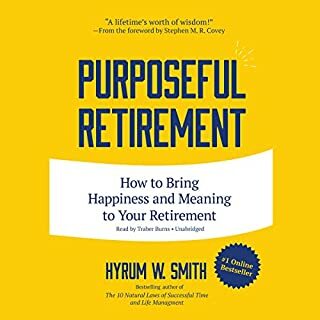 In this book, Hyrum shows you how you can move from your world of work, simplify life, and enter what can be the most satisfying phase of your life - a new world of purposeful retirement and good living. For four decades, Hyrum W. Smith has been empowering people to effectively govern their personal and professional lives. Retirement planning was simple and predictable 40 years ago. All you needed was your company pension, personal savings, and Social Security. Those days are long gone. Most public pensions are underfunded, and private companies can't get rid of them fast enough. Social Security's own trustees predict it will run out of money in less than 20 years. And most people haven't saved even a fraction of what they should. Fear can be paralyzing. And the financial world can be a labyrinth of both lucrative opportunities and potential pitfalls, creating anxiety and uncertainty. When it comes to your retirement, there is no greater asset than knowledge and understanding of your options, empowering you to make the best decisions possible. You Don’t Have to Drive an Uber in Retirement is a survival guide for your golden years, and a lifeline for those entering the Retirement Crisis unprepared. Roughly 45 percent of Americans have zero dollars saved for retirement - but the average retiree will spend $154,000 in out-of-pocket health care costs alone. We need to figure out how to generate more income, even in retirement, and spend less. How do we boost our retirement income? Is investing the way to go? This book does more than just answer the important questions - it gives you real-world tips to help you reach your financial goals. Being able to retire securely, with enough income to last - and allow you to enjoy - your post-work life, is a major concern not only for seniors, but for everyone. To make sure you're ready, take the advice of Julie Jason, an internationally recognized authority on retirement savings whose popular column receives fan mail with plenty of questions. 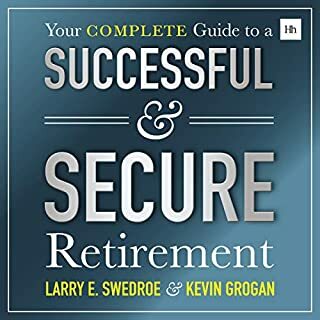 Organized in 10 sections, each following a theme, Retire Securely is her accessible, easy-listening collection of need-to-know facts about a process that can be intimidating to even the most knowledgeable investors. 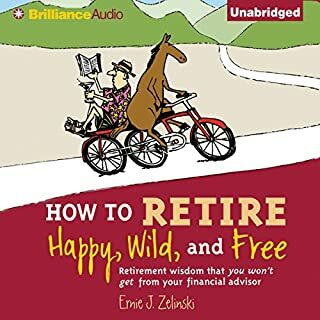 A Couple's Guide to Happy Retirement is the most comprehensive audiobook devoted entirely to relationship issues in retirement. 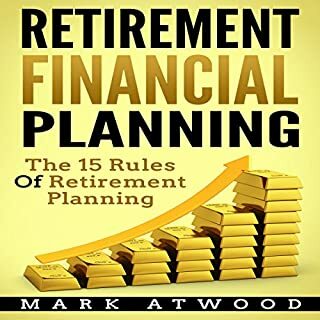 Not a treatise on money management this is a much-needed guide to the psychological aspects of retirement and how to make your retirement relationship happy, fruitful, loving, and successful. Everyone knows that saving for your retirement is important. Yet only half of all eligible Americans contribute to a retirement plan. That’s because all plans - including the 401(k), 403(b), 457, and even the IRA - are complicated, confusing, and costly. 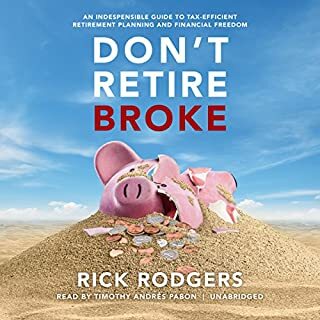 New York Times best-selling author and acclaimed financial advisor Ric Edelman has counseled thousands of savers and retirees and has accumulated his advice in this audiobook. After decades working as a Wall Street trader, investment adviser, and money expert for CBS, Jill Schlesinger reveals 13 costly mistakes you’re probably making right now with your money without even knowing it. Drawing on heartfelt personal stories (yes, money experts screw up, too), Schlesinger argues that it’s not lack of smarts that causes even the brightest, most accomplished people among us to behave like financial dumb-asses, but simple emotional blind spots. Smart Advice from a Really Smart Woman! Tanja Hester and her husband Mark left their crazed careerist lifestyle to live their dream life in Lake Tahoe, retiring early from high-stress careers. Now Tanja will help you map out a customized plan for freedom and make it easy to succeed, whether you're good at math and budgeting - or not! Work Optional is more than just a financial plan: it's a plan for your whole life-designed by you, not by an employer or clients. Today people worry that they're going to run out of money in their older age. That won't happen if you use a few tricks for squeezing higher payments from your assets - from your Social Security account (find the hidden values there), pension (monthly income or lump sum? ), home equity (sell and invest the proceeds or take a reverse mortgage? ), savings (should you buy a lifetime annuity? ), and retirement accounts (how to invest and - critically - how much to withdraw from your savings each year). 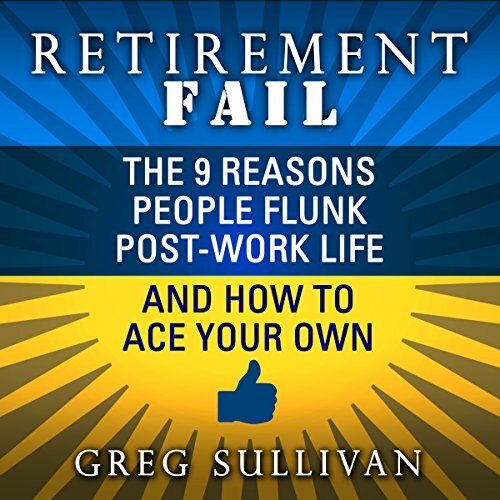 In Retirement Fail, top financial advisor Greg Sullivan shares the insights he has gained over his 35-year career in wealth management to help you identify potential pitfalls and learn how to safeguard your hard-earned retirement assets. Because, contrary to what most people think, it is not poor portfolio performance that usually busts your retirement accounts. Rather, it's the emotional decisions you make that can cause major problems. Whether it's buying a vacation home that is beyond your reach, subsidizing your adult kids to a degree that is ill advised, or passing on the umbrella insurance your advisor recommended, the choices you make have an enormous effect on whether you'll be able to enjoy the comfortable retirement you've dreamed about. Retirement Fail lays out the nine common hazards that trip up otherwise well-prepared retirees, encouraging you to think through your decisions and set a course aligned with your values and your ultimate goals. Gave some great examples of what doesn't work and how to prepare to make it work. Great book and easy to read. The book does a great job using stories to show how emotional decisions and life events can disrupt our financial and retirement goals.